The surprise closure of a long-dormant pulp mill in Port Alice, B.C. may be a result of frosty relations between Canada and China, the town's mayor says. In a meeting Wednesday, Neucel Specialty Cellulose officials told workers that it was immediately curtailing all activities and laying off the remaining dozen or so workers there. "They were verbally told that they were expected to leave the work site and that the employers was not going to be able to make payroll this week," said union president Don Vye. Port Alice Mayor Kevin Cameron said the news appears to be the final nail in the coffin for the mill, and it came as a complete shock. Though the mill has sat dormant for four years, locals held out hope it would eventually return to operation and create new jobs in the town of just over 800 people. "It turns out it's not going to be that good, and no one's going down the road except us right now as a community left in the lurch," he told CTV News Thursday. He said residents are also dismayed that the layoffs came without any warning. 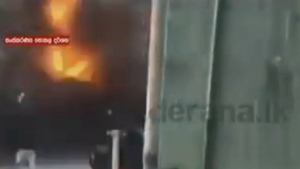 "No one had any knowledge that this would be happening, or even the foresight that this might occur," he said. The mill was purchased by a China-based company in December 2005 and went on to have a rocky relationship with the community, looking for reduced taxes and union concessions. Four years ago, it let the bulk of its 400 workers go, hitting the local economy hard and forcing residents to seek employment elsewhere. "I'm surprised they waited four years to do this," said former worker James Uvanile, one of the hundreds laid off in 2015. "Why didn't they do this four years ago, unless they just wanted to screw everyone on their severance pay, which I kind of believe they're doing." 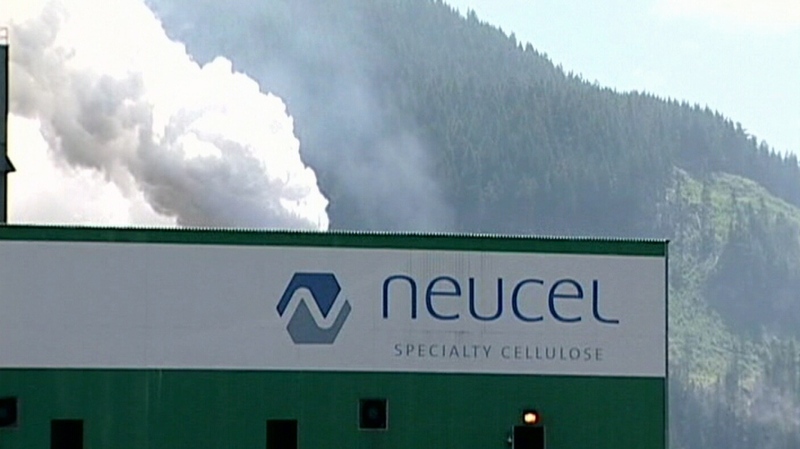 CTV News tried reaching out to Neucel Specialty Cellulose for comment Thursday, but a phone number listed on the company's website was no longer in service and emails were bounced back. It's left residents of the small town wondering who will bear the burden of necessary environmental remediation work at the now-shuttered mill. "There are still residual chemicals on that site, there's contaminated materials on that site, and someone's going to have to make a determination on how to deal with that," said Cameron. He said he's already been in contact with B.C. 's environment ministry about his concerns. Cameron believes that the decision is in part due to a strained relationship between China and Canada following the arrest of Meng Wanzhou. The CFO of Chinese telecommunications firm Huawei was taken into custody on Canadian soil at the request of U.S. justice officials in early December. "That was first and foremost in the discussions yesterday," he said. "International politics are directly affecting the small, rural communities because up until this happened, we were still talking." Cameron says whatever the reason, he's confident that his tight-knit community can survive yet another hardship. "We're gonna get through this. It might not look the same, but we're going to get through this for sure. I have no doubt in my mind about that." The Neucel Cellulose Products pulp mill in Port Alice is shown in this 2008 file photo.